It does have a French license plate inside, so it is almost certainly a one-time French vehicle. 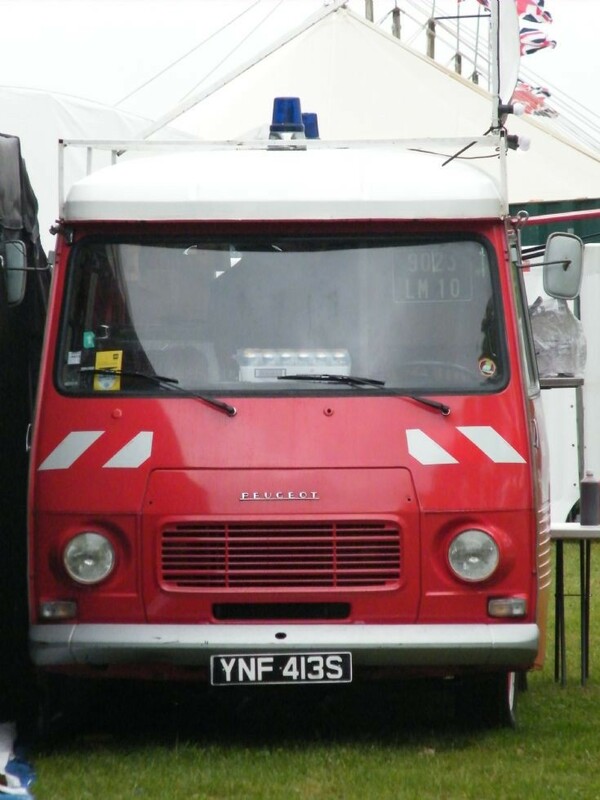 These Peugeots were very commonly used in the past by French fire services as ambulances, and the half bulkheads are consistent with this idea. The white roof and blue lights may be updates, but are not very likely to be original. When placed into service, the roof would be more likely red and the beacons would probably have been orange. It's an original French fire truck, still can see the French number plate in the cab. It was van de French departement 10 which is Aube. Added by Fire995 on 15 September 2017.